Eliminate Rx Drugs with Real Food! The most recent studies done by the Center for Disease Control gave some great news for those wanting to improve their health! This news came from two reports citing the widespread use of prescription drugs in America. 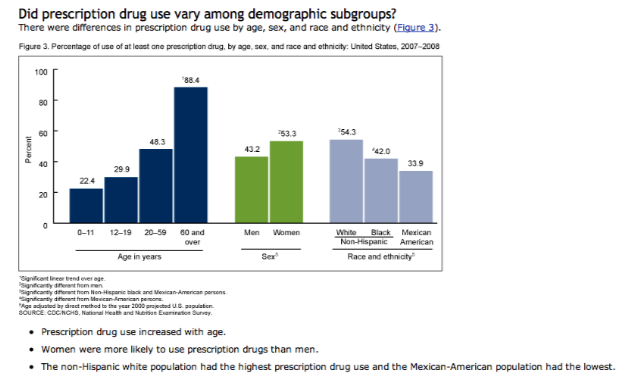 How many Americans use prescription drugs. 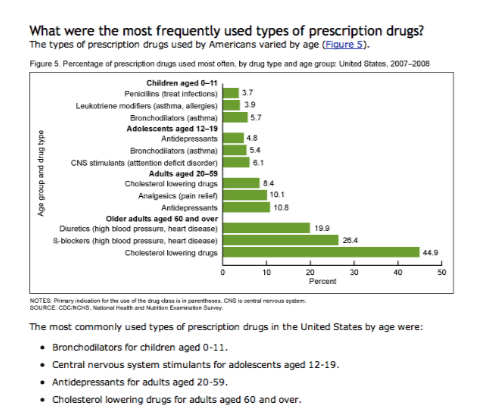 With careful reading, the studies, which tracked the prescription drug usage of Americans by age and by drug type, revealed a wonderful hidden truth…one that has been proven over and over by My Busy Healthy Life participants. The greatest percentages of drugs used were for conditions which could be always be improved and often completely reversed just by eating a diet consisting of REAL FOOD! Start eating fresh fruit, raw fruits and veggies and vegetable juices. Simple. Cost Effective. True. Make your salad like a chef! Their DOCTORS have taken them off their medications…sometimes within the first week! Others have gradually reduced their prescriptions or eventually completely eliminated the need for them. God made your body to heal…you just need to give it the right tools and building materials. God Made Food. You have to be consistent. You have to eat the right foods and eliminate the wrong foods. You have to get rich nutrition…it’s not enough to live on lettuce, celery and carrots. Your body needs a wide variety of nutrients in their simple form and full of enzymes, which are only found in raw fruits, veggies and juices, to allow your body to heal itself. This is why we developed our 4 month health recovery program, My Busy Healthy Life. So you can nourish your body and it can do it’s job of keeping you strong and healthy. So your body can accomplish what your heart and mind dreams…at any age….